It’s a Great Time to Find a Job in Reno! Throughout the United States, unemployment is at record lows. The unemployment rate nationally stands at 3.7 percent, the lowest it has been in decades – and in Reno, unemployment is even lower than the national average at 3.5 percent. With record-low unemployment in Reno, businesses are hard-pressed to find qualified candidates. If you’re thinking about finding a better job in Nevada, now is a great time to do so! Employers are eager to find high quality candidates. If you’re looking for a job in Reno or throughout northern Nevada in the new year, here are four tips on how to get ready for the job search. Looking for a new position in a time of robust employment has many advantages, but one of the best is that it’s a good time to transition, whether you’re seeking a higher position with a new company or looking to shift your career path. When job markets are hot, employers are more willing to take a chance. With this in mind, take the time to think through what you really want. Do you want the perks and challenges of a higher-level opportunity? Or do you have a goal that’s a bit different than the path you’re currently on, and want to take a shot? The better you clarify your career goals for 2019, the more likely you’ll be able to articulate your goals to interviewers. Interviewers frequently ask job applicants about what their biggest strengths and weaknesses are as a professional. It’s a very good idea to develop answers to these questions when you’re in the job market. Think through your job-related strengths. Are you great at teamwork and internal communication? Do you work well in a challenging, fast-paced environment? Decide on two or three strengths to highlight above any others and prepare to discuss specific examples highlighting each one. Then, plan a way to tie your strengths and how you utilize them to the job you’re interviewing for. Discussing weaknesses is a bit different. Part of what the interviewer may be assessing is how you handle the question! Interviewers want to see your self-awareness to identify what you need to work on, but you can also use this question in the interview to show how you’ve overcome and corrected past weaknesses. Before any interview, review your experiences and qualifications with an eye on discussing them with an interviewer. Choose three or four that highlight your best accomplishments. It’s a very good idea to either emphasize any contribution to the bottom line, either by a job that increased revenues or cut costs, with specific numbers if you have them. It’s common to feel some anxiety before and during interviews. Practicing your answers to the strengths and weaknesses questions and to discussing your experiences is a good idea. Ask family or friends to play the part of the interviewer, or use your smartphone to record yourself and watch for tendencies you may want to correct when asking questions. This also gives you a chance to work on body language. Many people look down during an interview, or use negative body language, like crossing their arms in front of them. Practice looking at the interviewer in a friendly way and sitting in a relaxed but professional manner. 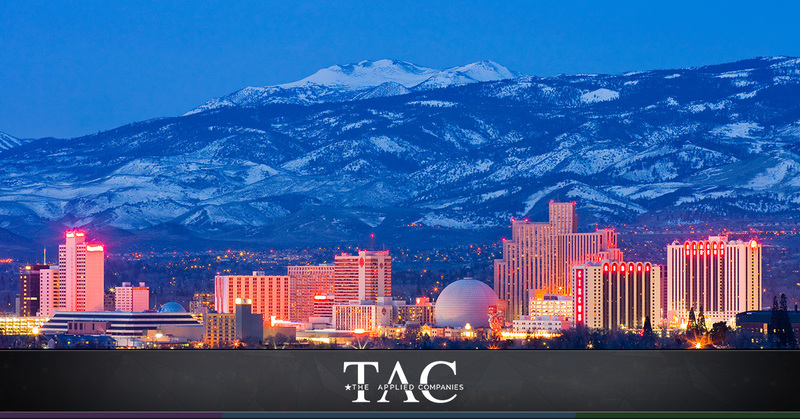 Get Out on the Job Hunt in Reno and Northern Nevada This Year! Using these four strategies, you can conduct an effective job search and find the new opportunity that will help you reach your 2019 career goals! The Applied Companies’ staffing team is ready to help you find the jobs you’re looking for. Contact us today, or head right to our job board and apply for new opportunities in your area. https://theappliedcompanies.com/wp-content/uploads/2018/09/TAC-Logo-White-01-300x116.png 0 0 The Applied Companies https://theappliedcompanies.com/wp-content/uploads/2018/09/TAC-Logo-White-01-300x116.png The Applied Companies2019-01-10 18:59:262019-04-05 15:44:02It’s a Great Time to Find a Job in Reno! What Options Can Federal Employees Consider in a Furlough?